Personal coaching is a powerful, effective way to incorporate resilience building skills into your personal routine, specific to your personal goals. 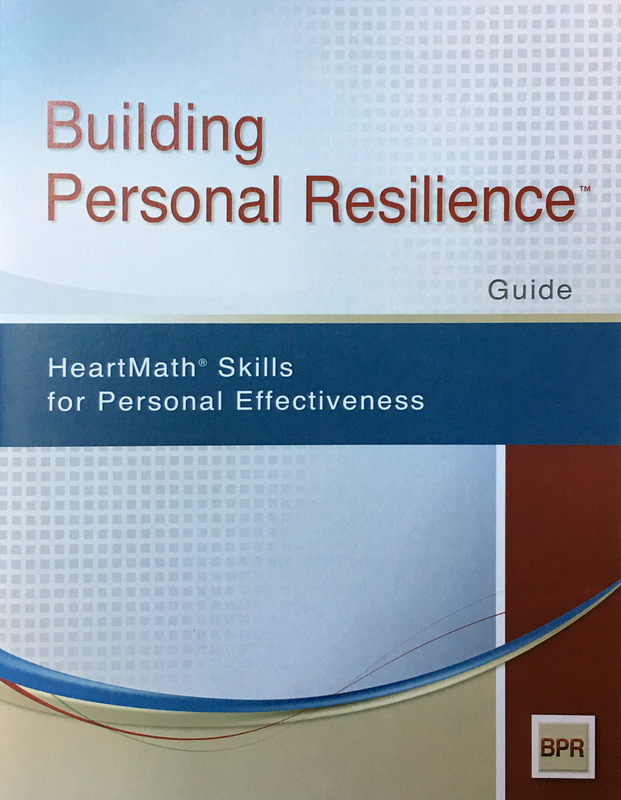 Building Personal Resilience™ is a system of HeartMath tools and techniques that change the way your body’s physiology responds in stressful situations. With practice, automatic stress reactions won’t dictate how you feel, respond or perform, whether personally or professionally. I suggest a 6 to 8 session commitment to discovery, learning and practicing this skill-set for self-care and personal effectiveness. Individuals experience much of the same content shared in The Resilience Advantage™ Workshop, yet personal coaching sessions are unique in that time spent together is customized to your needs, with more time spent on personal application. One hour sessions are scheduled one to two weeks apart. You receive a comprehensive Guide Book with all content covered in session, step-by-step techniques, and exercises for exploration between sessions.You can choose to take a personal Stress and Well-being Assessment at the beginning and at the completion of coaching sessions. The normed and validated assessment is used to better identify your needs, provide more individual focus for applying the skills, track your progress, and set new goals. Each individual resonates differently with resilience concepts and techniques. Coaching sessions are designed to serve you personally, exploring individual interests and needs, discovering how building capacity for resilience can make a difference and positive impact in your every day life. My biggest perceived challenge before learning about coherence and building resilience was wrapping my mind around the information being presented. During the initial introduction, I was nervous when I realized I was unfamiliar with a lot of what Meg was discussing and I wasn’t sure what to expect through the training and coaching sessions. As I started working with Meg and learning the techniques and technology involved with HeartMath and building resilience, I became excited to learn more about the practical applications of these techniques and how they can be used in everyday situations to create a lasting positive outlook. Through the one-on-one coaching sessions with Meg, I became more confident in my resilience-building skills and noticed that I was regularly integrating these techniques in my life. These solutions are different from tactics I have used in the past to deal with stress because they are foundational, simple, and extremely effective. They offer a back-to-basics approach that is relevant to any stressful work or personal situation. I really loved seeing actual, positive coherence results from participants in class, and from myself in the coaching sessions, using the Inner Balance app. I ended each session with Meg feeling refreshed and positively energized. I fully and wholeheartedly recommend Meg Hogan and Build Resilience for anyone who could use a little -- or a lot -- of help in developing effective ways to deal with stressful situations of any kind. Meg is kind, nonjudgmental, and extremely efficient in what she does! Overall rating 5 stars!